Patterns are a constant in our built environment. Just as in nature, we find order in everything man-made in a diverse range of scales, from primitive ornaments to urban planning. 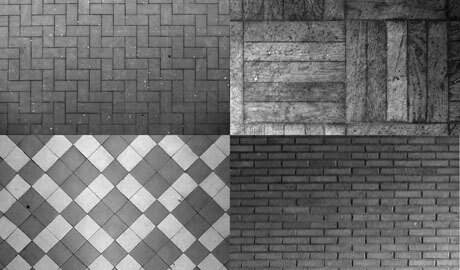 Architecture is a prolific field for patterns: street pavements, indoor tilings, modulated facades, standardised measures or city grids are good examples of the application of this sense of order. Patterns can also be found in other types of non-physical structures: language, music or narrative (film, literature). Transformations like symmetry, rotation or rhythm found in still patterns are easily transcribed to time-based structures. Time Tilings [stuk] is a site-specific project for Artefact that brings to light some of the architectural systems present in the STUK building. The attention is drawn to several tilings of varied scales, exploring the intersection of architectural systems and time-based patterns.